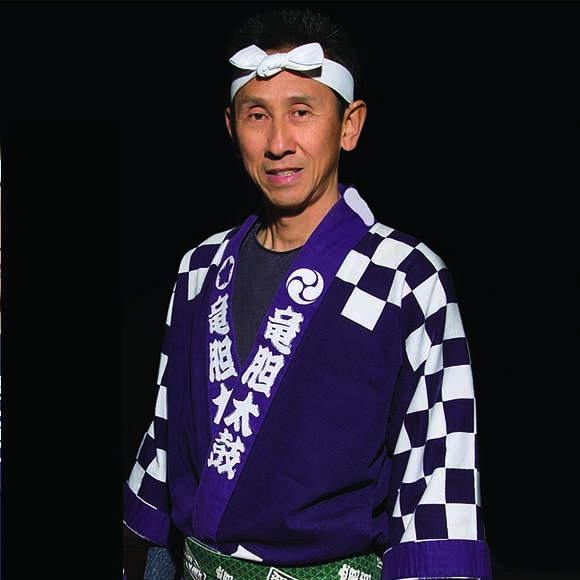 Toshinori is a wadaiko drummer based in Melbourne and formed Wadaiko Rindo in Australia in 1996. He studied under renowned conductor, Takashi Fukuda. Toshinori’s earlier taiko performances followed the tradition of Kumamoto Fujisaki Shrine Festival style, and later established his unique style through study and collaborations with various taiko groups in Japan. Since his migration to Australia, Toshinori has performed in many places around Australia. His group, Wadaiko Rindo have performed at Melbourne International Festival, Blue Mountains Music Festival, Royal Melbourne Show and, The Gift of Light at Federation Square, received the Music Award at Melbourne Fringe Festival in 2004 and also have performed in Fiji, New Caledonia, Tonga and China. previous post: Chado Urasenke Tankokai Sydney Association Inc.